Will Virginia’s Voter Suppression Put Trump in the White House? The outcome of an increasingly contentious presidential election this year could hinge on who wins the Commonwealth of Virginia — which just recently emerged as an important swing state. But voting rules put into place since 2013 by a Republican-controlled government could potentially skew the election in their favor while muzzling the voices of thousands of voters at the polls in November. Virginia’s key role in presidential politics is a recent phenomenon. From 1952 to 2004, the state was a Republican stronghold. During that time, Democrats carried Virginia only in 1964. (In the previous 70 years, Republicans won only once — in 1928.) The shakeup came in 2008, when Barack Obama carried the state with the help of demographic shifts and increased turnouts from younger voters and minorities, two groups that tend to lean Democrat. As Virginia became competitive on the national stage, Republican state lawmakers enacted some of the most stringent voting rules in the country. They seized the opportunity provided by a 2013 Supreme Court decision. This 5-4 decision invalidated part of a federal law that prevented Virginia (and other states with histories of discriminatory election laws) from instituting new voting rules without Department of Justice approval. While some of these newer, stricter rules will be in effect this November, Democrats have gone to court in an attempt to roll back other regulations that could disenfranchise thousands of eligible voters in the upcoming presidential election. The state’s voting environment has changed significantly since August of 2012, Hope Amezquita, a staff attorney and legislative counsel for the ACLU of Virginia, told WhoWhatWhy. That’s when the state legislature passed a bill requiring voters to present some form of non-photo ID, such as a bank statement, before being allowed to cast a ballot. Voters who didn’t bring proof of identity with them were still allowed to fill out a provisional ballot and confirm their identity later. That regulation had been cleared by the Department of Justice, which was granted the power to strike down discriminatory voting laws in certain regions of the country by the 1965 Voting Rights Act. But in 2013, the Supreme Court invalidated that part of the Voting Rights Act. Then Virginia — along with several other states that had been subject to DoJ preclearance — quickly passed much stricter voter ID laws, which required a document with a photo. The requirement for photo ID documents such as driver’s licenses, which many poorer citizens do not have, was exactly the kind of discriminatory regulation that the Voting Rights Act was designed to thwart. Furthemore, Amezquita says the Republican-dominated legislature did not play fair with the new rules. 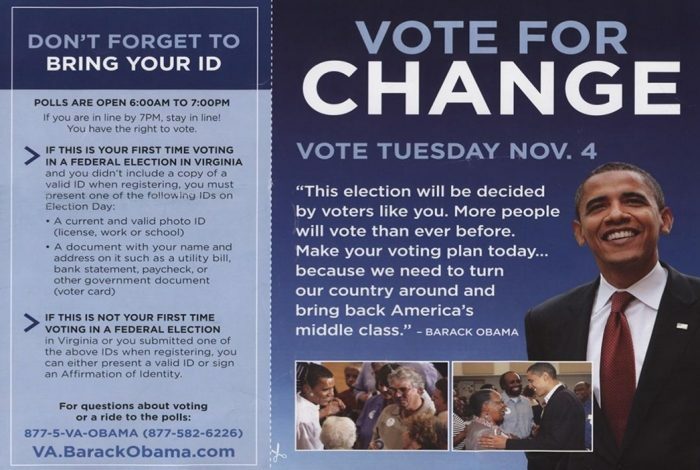 While the state had spent approximately $2 million for a public advertisement campaign to make sure Virginians were aware of the changes instituted under the less-aggressive 2012 law, it failed to divert any major resources towards educating voters about the new, tighter restrictions which went into effect in 2013. The Virginia Department of Elections did not respond to requests from WhoWhatWhy for comment. Virginia voters face other hurdles in trying to make their choices known at the ballot box. One is the long wait-times many voters endure. Nearly three in ten of the state’s voters had to wait longer than half an hour in line to cast a ballot in the 2012 presidential election. Several precincts in Prince William County, which is 40 percent black and latino, had wait-times of nearly two hours. In one precinct, some people in line waited nearly five hours after the polls closed to cast their votes. For most Americans, the wait is shorter. The Presidential Commission on Election Administration estimates only 12.4 percent of voters had to wait longer than half an hour in the 2012 elections. Virginia’s policy toward citizens who were convicted of a felony but have already completed their sentence is one of the nation’s harshest. The state prohibits released felons from voting unless they apply for and receive special clemency from the governor. Over seven percent of Virginians are disenfranchised under that law. Nationwide, the Sentencing Project estimates that 1 in 13 African-Americans have been disenfranchised by voting restrictions on felons. According to one study, the number is closer to 1 in 5 in the Commonwealth. Despite existing roadblocks and a Republican-controlled statehouse reluctant to ease restrictions, some Virginians are pushing to expand voting rights in the Commonwealth. In August, the Democratic Party of Virginia (DPV) sued the state Board of Elections on the grounds that the state’s voting rules are designed to restrict the voting rights of minorities. The Democratic Party’s suit argues that the state’s photo ID laws, combined with the long-wait times, felon disenfranchisement policies and history of racial discrimination at the ballot box, unconstitutionally impede citizens’ right to vote. Federal District Court Judge Henry Hudson, a former prosecutor with deep roots in Virginia’s Republican politics, dismissed the claims relating to felon disenfranchisement and long-wait times. The judge ruled that “inconvenience alone does not qualify as a substantial burden on the right to vote.” However, the complaint over photo ID legislation is still in court. Since Democratic attorney general Mark Herring recused himself from the case, the Virginia Board of Elections is being defended by Mark F. Thorne II, the election counsel to George W. Bush’s 2004 presidential campaign. The Board maintains that the plaintiffs have failed to show that the law disparately affects minorities and Democratic voters. To the contrary, the defense argues that the statute does not unreasonably burden anyone’s right to vote in Virginia. A common Republican argument for photo ID and other voting restrictions is that they are necessary to prevent fraud at the ballot box, which, if unchecked, can undermine faith in the fairness of election results. However, a 2014 study found only 31 credible incidents of voter fraud out of one billion votes cast across the country during multiple elections. According to the DVP suit, about 700 Virginians voted provisionally in the 2014 midterms, and about half of those ballots were discarded because the voters failed to verify their identity later. There is no consensus estimate of the number of Virginians who lack the required identification to vote today. During trial in March, former Virginia election officials testified they were not aware of anyone who was denied the right to cast a ballot because of state law, but they also said they were unaware of any prosecutions for voter impersonation in the state. The case in Virginia is being litigated at the same time as challenges to similar voting restrictions in Texas and North Carolina. In all such suits, plaintiffs face a difficult precedent set by Crawford v. Marion County Election Board, a 2008 case in which the Supreme Court upheld a photo ID law passed in Indiana three years earlier. None of the current anti-voting-restriction cases were filed in time to affect the rules governing the Presidential election this November. While the battle over voter ID continues in court, progress towards felon re-enfranchisement has been supported by governors from both parties. Under the administrations of former governor Republican Bob McDonnell and the current Democratic governor Terry McAuliffe, about 16,000 nonviolent ex-convicts and those convicted of drug charges have received clemency after applying for relief. 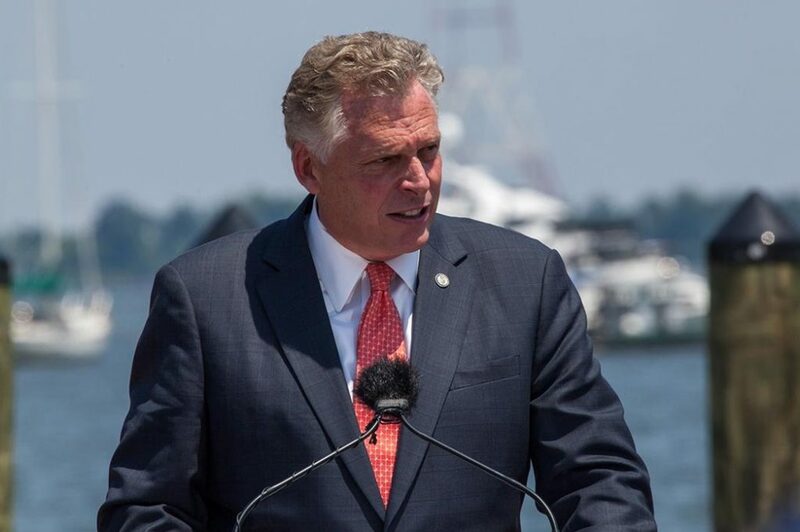 McAuliffe also used his executive power in late April to re-enfranchise 200,000 nonviolent felons who had completed probation and release requirements. In a statement, he said his action was a step towards including racial minorities and low-income Virginians in the democratic process. However, McAuliffe’s executive order was not proactive, which means that felons released in the future are still banned from voting unless they are individually granted clemency by the governor. The Virginia GOP did not respond to requests from WhoWhatWhy for comment on this story. Similar scenarios are playing out nationwide. Dan Ortiz, an elections expert at the University of Virginia School of Law, told WhoWhatWhy that it’s mainly Republican-controlled statehouses that have put into effect multiple voter-restriction policies. He says these laws — including photo ID, precinct consolidation, curbing of absentee voting and other policies — can seriously hurt turnout when implemented together. A preponderance of evidence now points to the conclusion that widespread voter fraud is a myth. The latest research and reports from social scientists, news media and governments after the Crawford decision show that verifiable, prosecutable voter fraud is exceedingly rare. With this scholarly and legal consensus, the courts may find new voter restrictions to be illegal under the remaining provisions of the Voting Rights Act or the Constitution’s Equal Protection Clause. Ortiz says the imposition of voting-restrictive regulations at the state level may slow down as challenges to the rules move through state and federal courts. But if those photo ID laws are upheld and Republicans maintain or increase their representation in state legislatures, he expects another wave of voting restrictions around the country.